Its been a while since I saw the sun shine brightly. No, I didn't got locked up in prison. 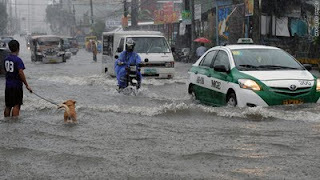 It is the rainy season here in the Philippines, the storms have arrived and the sun went into hiding. The weather gadget in my laptop shows more rains ahead, and honestly, I don't know if I'm gonna be happy about it. The past few days you wouldn't survive without an umbrella. 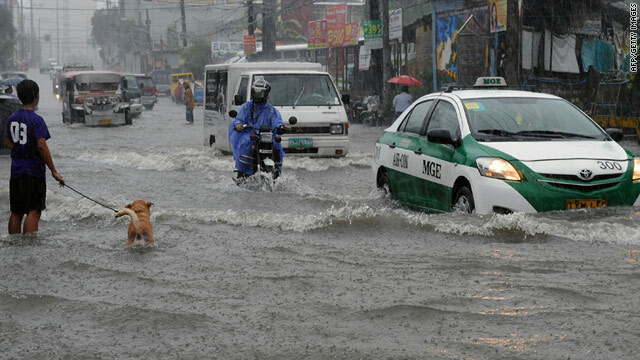 Given the amount of rain, there has been flooding in different places in the Philippines. It was wet everywhere. Kept me wondering how Filipinos of old deal with the elements. 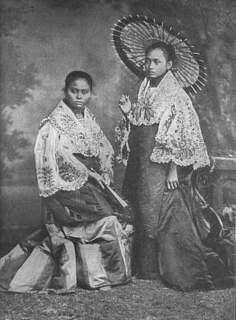 Umbrellas became fashionable in the 1800s here in the Philippines, but what about before? To think that umbrellas are pretty expensive during that time and only the rich can afford an umbrella. More so, the umbrellas that got trendy are for protection against the sun only, and they offer minimal cover against rains. Looking at the photo, I'm pretty sure these ladies won't be going out when its raining. And they have household help that can go out to the rain for them. So what does the not so fortunate folks have? Since we Filipinos are very creative and there are lots of natural materials around, we found ways. The simplest and easiest, get a fresh banana leaf and place it over your head, tadaaaa! No more rain. Of course if you use a small leaf, the more you get wet. I have heard of people using huge gabi (taro) leaves over their heads to get the same effect as bananas. The down side to this, you can't use these leaves the next day if its still raining. But if you're really earth friendly, use banana leaves to wrap the fish you're grilling or for gabi leaves, wait till they get dry then cook laing. Since not everyone will get gabi or banana leaves before going out on the rain everytime, there's always a salakot in every home. In every family, there is someone who knows how to make these wide-brimmed hats from all sorts of materials. Among the most common is the Anahaw Salakot. This is made from the country's National Leaf, the Anahaw. 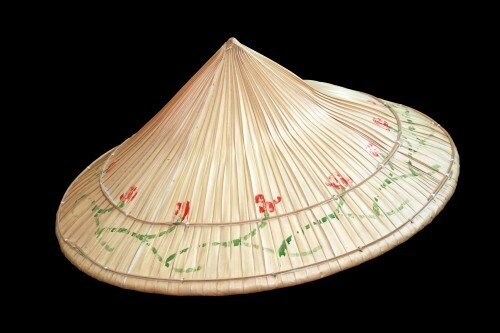 A more complex salakot is the one made from rattan or bamboo. The rattan or bamboo skin is peeled off into thin strips and weaved in to patterns to form the had. This is a more durable salakot because of its design and material. The beauty of the salakot is that it doesn't just protect one from the rain, but also from the sun. Since the Philippines is a tropical country, we have more sun than rain. So it seems, this was originally designed for sun protection, but useful too in the rain. As a closing thought, not too many would really go out on the rain unless you'd want to bathe or if its something really, really important. As they say, nothing beats the sound of falling rain in lulling you to sleep. When it rains, stay indoors.